Music for Small Ensembles from Gravel Studios. 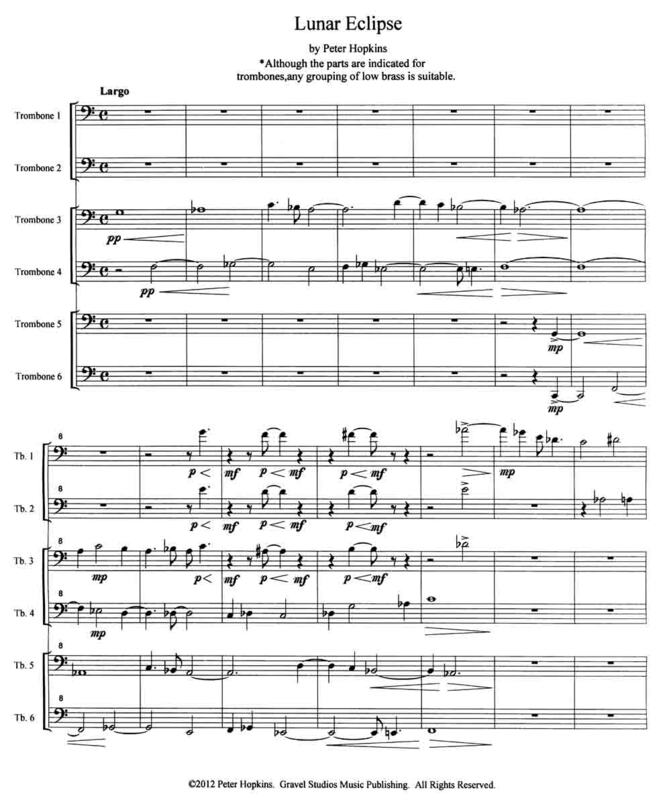 Lunar Eclipse: This short, haunting piece was composed for six trombones, but may be played by any combination of low brass instruments. Show off your band's low brass section at your next concert! The Slightly Magical Euphonium is a comedic theatrical piece and euphonium solo with piano accompaniment. Makes use of techniques rarely called for on euphonium, such as flutter tonguing, half-valving, and the lowest possible notes on a 4 valved horn. A truly unique presentation that people will still be talking about long after the performance.